How to Choose the Cheapest long Distance Moving Company? 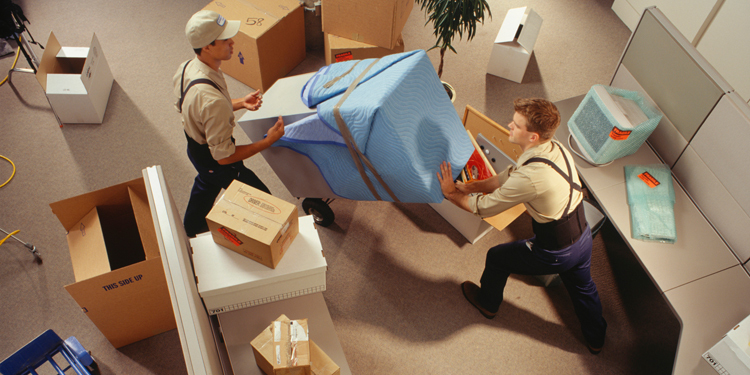 It is quite a question these days as to how we can choose the best and the cheapest long distance moving company. Trust is something that is so lacking in our society. Hence finding a trustworthy moving company is very vital. The longer the distance is the harder to find a good mover. What qualifies as a long distance move is any move that crosses state lines. Either interstate or a state to states move. As interstate moving connects with numerous states, it is bound to federal regulation. The Federal Motor Carrier Safety Administration is a division of the United States Department of Transportation that controls interstate moving companies which are very good news for you. Hence before you hire a mover, kindly ensure that you use basics provided by the Federal Motor Carrier Safety Administration (FMCSA) enabling you to obtain a registered and a credible mover with experience and good credentials. While the tendency is to panic and worry over this matter, just relax and take the following steps to educate yourself as to how you can have an easy move. Finding the perfect moving company is not an easy task. However, firstly work out the distance of your move. Then it is a question as to whether you need to move by road, by sea or air. While the move by sea and air are expensive, the best method will definitely be by road. But the choice is yours! You are obviously going to a new location with a bunch of unknown people and plus, you might worry about the expenses that will incur with regards to the move. Start working out a budget to suit your purse. But remember if you are moving because of work, then there is an allowance that your employer has to pay you towards the moving. Also, bear in mind that it is tax deductible if you are moving more than 50 miles for at least 40 weeks (basically 10-12 months). Did you know that the Internal Revenue Service gives a deduction for any moving expense which includes travel and lodging in addition to the expenses paid by the employer? Since you have now worked out a budget and you are well aware of the facilities you can have in getting your moving costs reimbursed, now it's time to work out the details. • Are you moving out of an apartment, condo or house? • Do you have enough room in your new location for all of your furniture and other stuff? • Do you need extra space for storage etc? • When do you plan to leave? • Are your moving dates fixed or are they flexible? • Lastly, the most important question... Who is going to be your Mover? We always need to look to a professional moving company when moving is your felt need. Choosing professional movers is a reasonable idea in this case. Search the internet for the best and the right movers. There are many moving companies who will bid and quote competitive prices depending on the length of the trip, the requirement of the specific vehicle that should be used, the packing and preparation for the move, unloading stuff with care at the new location and the number of workers that are used for the move etc. Try to compare from hundreds and thousands of nationwide moving companies. Basically, the mover should be able to offer all modes of transport for you to have the best choice, the ability to offer transportation of very large to heavy cargo and to be fully equipped to assemble and disassemble furniture, disconnecting electrical equipment, packing, and unpacking, loading and unloading, supplying packing material and storing & warehousing etc. Once when you decide on the right mover, you will be free from stress and strain. And at the end of the day, you will be happy and content because it was affordable and well worth it! !